Crowdfunding continues to grow in popularity and presence. The niche industry has expanded to the point that real estate crowd funding-investing has finally come of age. RealtyShares is such a company that permits you to invest in both residential and commercial real estate. Crowdfunding is popping up all over the web. And now with sites like RealtyShares, crowdfunding has come to real estate investing. RealtyShares is focusing on five particular markets that have booming real estate and tech industries, where it believes there are many opportunities to connect investors with borrowers in a happy marriage of finance and lending. These five markets are Chicago, Miami, Austin, Dallas, and Seattle. Since it's launch but a few years ago, RealtyShares has funded both commercial and residential investments in real estate as the intermediary organization that puts investors and borrowers together. They have already been featured in such prestigious publications as Forbes, Wall Street Journal, Techcrunch, GigaOM, and several additional editorials because of their cutting-edged and creative techniques with crowdfunding and Peer to Peer lending. They have secured the financial backing of General Catalyst Partners too, making them financially sound. RealtyShares opened up shop as a real estate investment specialty online investment Peer to Peer lending platform. It has become so successful in this growing niche market that it is sometimes referred to by the moniker, “the Lending Club of Real Estate.” RealtyShares carved out a market for itself in smaller dollar investment real estate that ranges from $100,000 to $30 million in extreme cases. Among these specific investments they greenlight are house flipping with single-family homes. RealtyShares has found its forte with smaller investments as well as medium-sized commercial projects, unlike many rivals that focus solely on big commercial properties and apartment buildings. Utilizing their intuitive website, they sit down borrowers, sponsors, and investors at a single online table and facilitate the deals and financing. From the investors, they accept single investments of as little as only $5,000 to buy pieces of investments in multi-family homes, single-family homes, and commercial real estate developments. To the borrowers, they provide anywhere from the $100,000 minimum-sized deal to even tens of millions of dollars for the bigger commercial projects. The advantage that RealtyShares offers developers in need of financing is a simple and effective means of rapidly raising cash for their impending projects. They have funded from 10 to 20 real estate project investments each month. Their turnaround time is a mere average of four days for funding normal RealtyShares investments. Traditional sources of finances commonly require minimally weeks and sometimes even months to sign and deliver checks for building projects to commence. Over the year 2014, the firm built up an impressive $300 million of real estate holdings in over 200 varying properties located in 59 individual cities throughout 17 states. Their investments' average returns falls in between a respectable 8% and a mouthwatering 29%. This all depends on the kind of project that is funded. Something that sets RealtyShares apart from REIT's, or real estate investment trusts, and other types of investments in real estate is your ability to choose between a single particular property and project or a collection of different properties of which you own pieces of the real estate investment. Founder and CEO Nav Athwal is a true Renaissance Man between his leadership of RealtyShares plus intensive writing he does concerning real estate, online investing, fintech, and crowdfunding for LinkedIn Pulse and Forbes. His work is similarly showcased by such heavyweights as TechCrunch, Inman, and Tech.co. Athwal has appeared on Fox Business Network and CNBC the Money Channel and has also guest lectured on investing and real estate law for the Haas School of Business as well as UC/Berkeley Law School. Investment Director Javier Benson Glanz worked with the management team of 643 Capital Management in the private equity real estate firm before coming to RealtyShares. He proved instrumental in the acquisition and underwriting of more than $300 million of real estate investments and assets. Before coming to San Francisco, Javier held an investment banking post with Barclays' Global Industrial Group, facilitating debt and equity transactions and Mergers and Acquisitions for the engineering, construction, industrial distribution, and building products industries. He obtained his MBA from The Wharton School of Business. Director of Operations Lani Ludwick has been at RealtyShares for the last several years. She worked previously as an associate of Angelo, Gordon, and Company for five years. Director of Debt Investments Mark Masterson was a Research and Originations Associate with Dwell Finance before coming to RealtyShares. He also served as an analyst at 643 Capital Management in his past life. RealtyShares keeps its business model simple and sweet. It only facilitates residential and commercial real estate loans that range in value from as little as $100,000 to as high as $30 million on occasion. RealtyShares begins the real estate funding and investment process by carefully reviewing opportunities to be certain that they meet the platform's minimum criteria. Once they are convinced of the viability of the project, then they post the investment on their platform, along with all of the data from deal general info to legal compliance documentation which spells out the precise risk associated with the business deal. We feel that the beauty of their setup lies in your ability to buy anywhere from a little part of the bigger investment to the whole investment all by yourself. On the platform dashboard you are able to follow your investment and its earnings history. They also provide tax information to you at the end of the year via their website. You also have the ability to choose between home equity investments or commercial real estate loans. You are even able to introduce an investment that you are aware of for potential funding via the company platform. The platform has been so successful in large part due to the easy 5 step process to invest with RealtyShares. Review and give final approval to your investment(s). Sit back and await the full 100% funding to be met on the investment in question. Oversee your investments in real estate online via the RealtyShares website. Besides these standard investment in real estate projects, RealtyShares sometimes offers investment in debt obligations for subsidiaries of RealtyShares, called Payment Dependent Notes. Such notes are directly connected with the underlying loans' various performances. A third-party trustee handles all such transactions for RealtyShares to control investor counter-party risk. • Quarterly Distributions – the company pays out distributions from earnings on a quarterly basis. 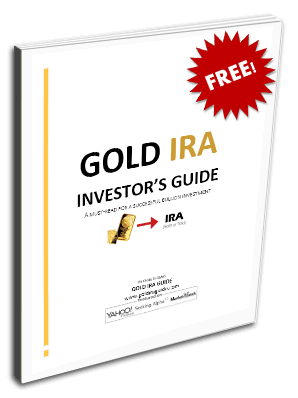 • Buy Real Estate Using your IRA – Self-directed IRA investment are allowed by the IRS using their platform and offerings. • Investment Returns – While equity investments commonly pay out on the quarterly basis, debt investments typically pay out every month. All distributions go straight to your linked up bank account. With investments in equity, you have the rights to participate in the sale of the property net appreciation. • Create a Real Estate Portfolio – Thanks to RealtyShares offerings, you do not have to invest millions of dollars in order to acquire a portfolio of investments in real estate. This means that you can spread your investment dollars around the real estate world rather than tie up your investments in just several smaller real estate investments. You are capable of picking from private equity positions or funding loans directly. Thanks to these offerings, you may become involved in large property investments that have traditionally only been made available to the largest and richest of investors. • Investigative Legwork – RealtyShares handles the due diligence on every opportunity, pursuing background checks on the various principals for the borrowers or real estate company. As part of the legwork, they go through property inspections, title reports, proforma financial statements, and comparative sales statistics. They then make all of this handy information public to you via either your email or the platform itself. Like this you learn what each and every one of the risk possibilities are up front. • Diversification – You may diverse via either varying your kinds of positions and properties you back, through geographical diversification, or both. • Handling of All Management Tasks – we love that these are passive investments, thanks to RealtyShares handling all of the daily property management tasks on your behalf. • Real Estate Capital – The platform and service injects badly needed capital into real estate ventures both residential and commercial. It provides investors with a means of providing it and realizing gains as the investments mature and pay off. Any investments that do not make it through closing are immediately refunded to any related investors. RealtyShares maintains its one office headquarters in San Francisco, California at 425 Bush Street, 6th Floor, San Francisco, California 94108. RealtyShares employs 128 bit SSL encryption, like the safety on which banks rely. Third party security companies additionally review the platform in order to be certain that acceptable safety procedures are being followed. Your bank accounts data is not stored on the platform's servers either. Following 15 minutes of inactivity, you are auto logged out of the platform for your own protection. If your investment dollars will go into debt securities, then your monies will be deposited to Wells Fargo FDIC insured accounts that provide insurance against losses to as much as $250,000. Prefered equity investments go into third party escrow accounts that are handled by both a third party bank and the partnering broker-dealer. The Better Business Bureau gives RealtyShares its coveted A+ rating. There are no complaints on file as of time of publication. Customer support with RealtyShares is primarily centered on giving you updates from time to time on your preferred equity and equity investments. Though this is generally done on a once per quarter basis, they do give out additional informational updates as important information is available to you. They will email you the information and also make it available on the platform online. Another cornerstone of the customer support involves reporting for your tax purposes. The platform distributes all needed tax documents that pertain to your investment in advance of the April 15th tax filing deadlines. This includes IRS 1099-INT forms as well as Schedule K-1 forms. As far as getting questions answered goes, we feel that the customer support might be a little better. They do provide a fairly detailed “frequently asked questions” section, backed up by an online “submit a question” form. The company also fields questions via telephone. There is no live chat customer support or email support at this time. It does not cost you anything to sign up for and register with RealtyShares. There is no charge to go through their investment opportunities or restrictions on doing so once you have signed up as well. Fees are payable if you are an equity investor. RealtyShares gets an annual 1% management fee for each equity investment. Besides this, they maintain the option to levy an “over-raise” fee that takes care of any upfront legal fees pertaining to the investment and related expenses. Debt investments are handled differently where fees are concerned. A servicing fee is levied by RealtyShares. This does not actually cost you anything, as RealtyShares take is via the spread that exists between the interest rate that they charge the borrower and the net interest that they pay to you the investor. RealtyShares is a really great concept for allowing you the investor to buy into real estate residential and commercial investments via the Peer to Peer Lending or crowdfunding platform. The beauty of it is that you may become involved in smaller real estate opportunities or take small portions of larger investments and build up a really well-diversified real estate portfolio without needing to invest hundreds of thousands of dollars. The fees are reasonable at 1%, and the site handles all of the leg work and management requirements, as well as delivering any and all technical information that you require on risks. The downside to RealtyShares remains the fact that only accredited investors are able to participate. This means that you must prove a larger income and/or asset base, with a significant amount of at-risk capital that meets the standards set out by the SEC. The whole idea behind Crowdfunding is to allow the average investor or individual to become involved as a small time investor. Sadly, thanks to the accredited investor requirement of RealtyShares, only high net worth and high income investors need apply to participate. RealtyShares offers a fantastic method of investing in and diversifying a real estate portfolio for either residential or commercial real estate investments via their peer to peer lending platform. The only downside is that you can only particpate if you are a U.S. based, accredited investor who can prove over $1 million in net worth and more than $200,000 in annual income for two prior years. The minimal initial investment for any one opportunity is $5,000, although sometimes single $1,000 minimum investments come along. Smaller investing in real estate is supported by the platform, as with flipping only one single-family home. Possibility of adding your own investment ideas to the platform. Permits diversification within the real estate sectors of residential and commercial without ever having to oversee or manage complex real estate investments. Tax advantages are realized with reduction of taxable income via mortgage interest expense, depreciation, and other property-related expenses. Non-accredited investors may not participate. Income requirements to become accredited are income in excess of $200,000 in two prior years and net worth exceeding $1 million. IRA provision is not direct, as RealtyShares does not offer IRA account now. Unavailable to non-US based investors. Possibility for capital calls if more investment in the project is required. Returns on investment are not guaranteed, and principal can also be lost. Illiquidity of investments, with no secondary market available on which to sell your investment early. Potential for multiple state income tax ramifications means that you could have to file state income taxes with all states in which you have real estate investments going.